This Dunnock, often referred to as a Hedge Sparrow, was photographed yesterday feeding on crumbs left over from picnics on a bench on the South West Coast Path at Falmouth. The Dunnock is one of those birds that is often overlooked and dismissed as a drab little bird. However, when seen in good light, it can be surprisingly attractive, showing off a range of subtle shades of browns and greys. Insight into Dunnock (Prunella modularis): a common little bird found throughout the UK, it spends most of its time low down in hedges and on the ground. 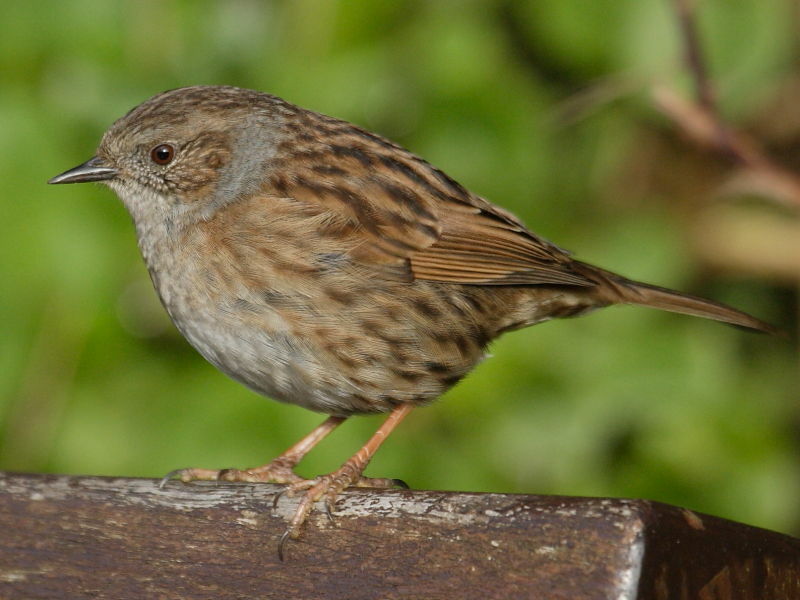 This habit of frequenting hedges has led to it often being referred to as a Hedge Sparrow which incorrectly suggests it is a member of the Sparrow family (Passeridae) when it actually belongs to the small group of birds known as Accentors (Prunellidae).